Lucerne is a town straight out of a fairy tale. It could be the bright turquoise water coursing through the River Reuss, the narrow cobblestone streets, covered bridges or the gentle glide of swans over Lake Lucerne, but there is an unmistakable magical ambiance that radiates through this city. 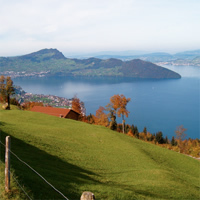 Plus, Lucerne is the perfect base to the nearby mountains for a dose of Swiss nature. 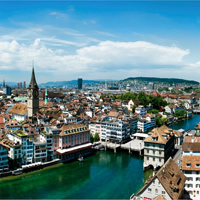 London, Paris, Lucerne, Zurich and Munich with the Eurostar, Lyria TGV, IR and EC Trains. Paris, Lucerne, Milan and Rome with the Lyria TGV, Cisalpino and ES High Speed Trains. 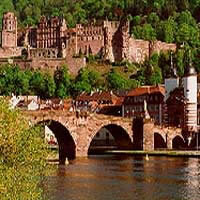 A whirlwind vacation package through the most exciting and vibrant cities in Europe! Begin in utterly romantic Paris (the City of Lights; narrow alleys, shopping, the glamorous Champs Elysses), Lucerne (situated in the heartland of Switzerland; cobbled streets, covered bridges and frescoed houses), Milan (one of the world`s fashion capitals), Venice (a charming city set on a network of canals), Florence (an art lovers dream) and Rome (the treasure of Italy; centuries of art, religion, history and culture) with the Lyria TGV, Cisalpino and ES High Speed Trains.This is a flexible vacation package. Select your number of nights in each city, desired hotel and activities. 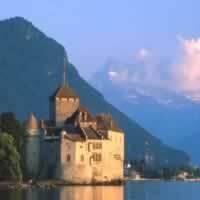 Visit Vienna, Salzburg, Innsbruck, Lugano, St Moritz, Zermatt, Bern, Lucerne and Zurich with the Trains. Visit Munich, Salzburg, Vienna, Innsbruck, Lugano, Bern, Interlaken, Lucerne and Zurich with the ICE, IC, EC and Golden Pass Trains. Make the most of your vacation package through Europe! 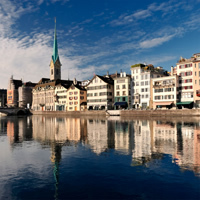 Combine Basel, Bern, Interlaken, Lucerne and Zurich with the ICE and IR trains. There is no shortage of museums, churches, parks, historic sights or activities to explore in these fascinating cities. This is a flexible vacation package. Select your number of nights in the city, desired hotel and activities. 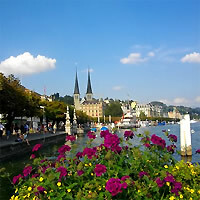 Combine Zurich, Lucerne, Interlaken, Bern, Zermatt, Chur and Zurich with the IR, Golden Pass, ICE and IC Trains. 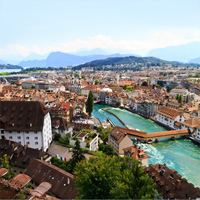 Base yourself in Lucerne with a rent a car for exploring the area on your own. Combine Paris, Lucerne, Como, Pisa, Florence, Rome, Assisi, Venice, Innsbruck, Munich, The Hague and Amsterdam with the EC, Train TRN, ES, IC, ICE and Night Trains. An unforgettable adventure awaits you with this customizable package that lets you visit six European cities, begining in Germany and ending in Switzerland. 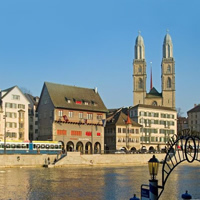 Start in Munich (a haven of history and culture, with museums galore, operas, theaters, public parks and the somber Dachau) and then continue to Prague, Vienna, Venice, Lucerne and finally Zurich, all transfer between cities are by train. This is a flexible vacation package. Select your number of nights in each city, desired hotels and activities.